Lauren Glass has an alter ego. As does Penelope Nederland and Shaun Lee. 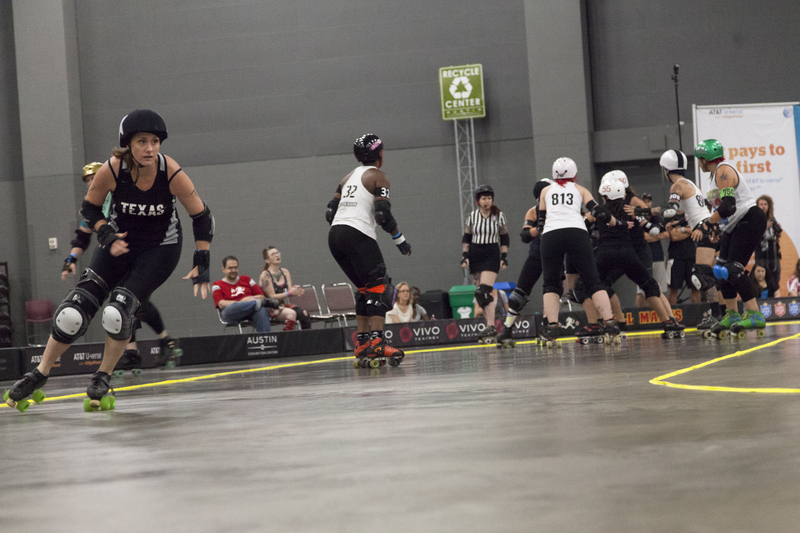 Roller derby within the Austin area has allowed women to freely express themselves through movement. Lauren is typically called Pirata Roja, Roja for short. Shaun is Donna Pologize and Penelope is Fifi Nominon. All of these women have been able to fully come out of themselves and be who they wish to be. 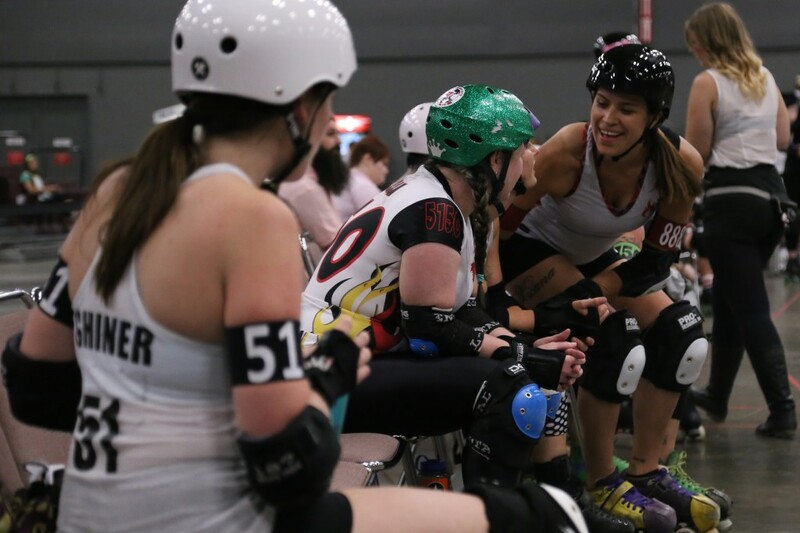 According to USA roller skater, Fifi Nominon, roller derby is a sport most associated with women and the involvement of men has recently developed over the past seven years. 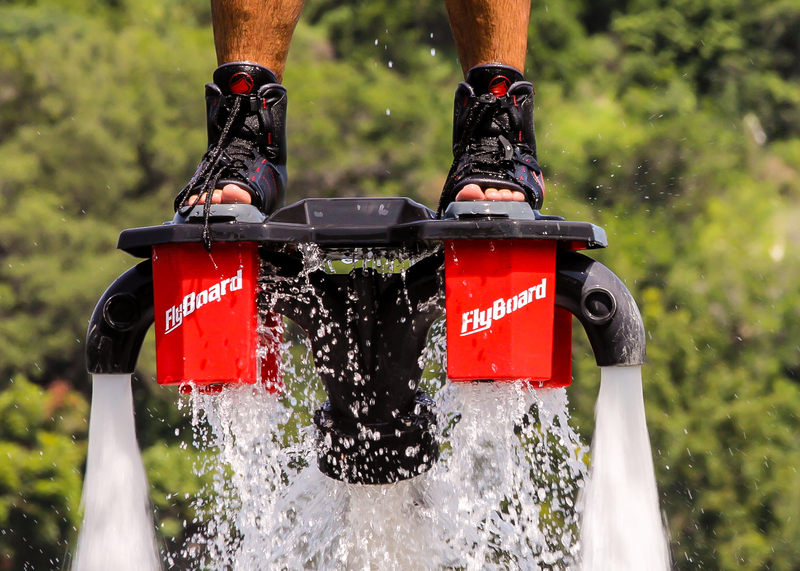 “It is one of the few sports that exists that started as a female sport and has grown massively in popularity as a female sport with a men’s sport coming after,” Fifi says. Fifi and her team, Hustlers, scrimmages with a local men’s roller derby team, Austin Anarchy, and throughout the game there was an even playing field. The women and men played equally and there was no buffering on skills based on genders. 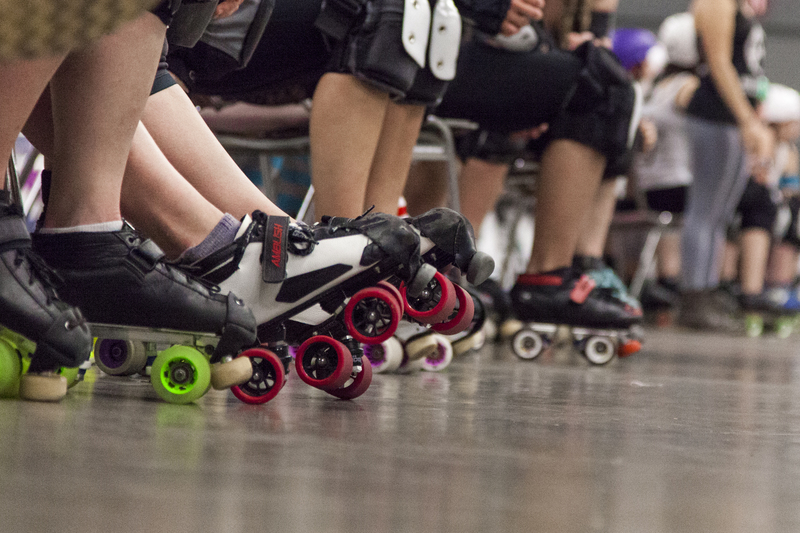 For many current skaters, the thought of never being able to play roller derby was changed to action and success after joining. Soon after that the never could turned into a possibility. After joining this past June, Tesla has experienced a complete turn around within her self confidence. 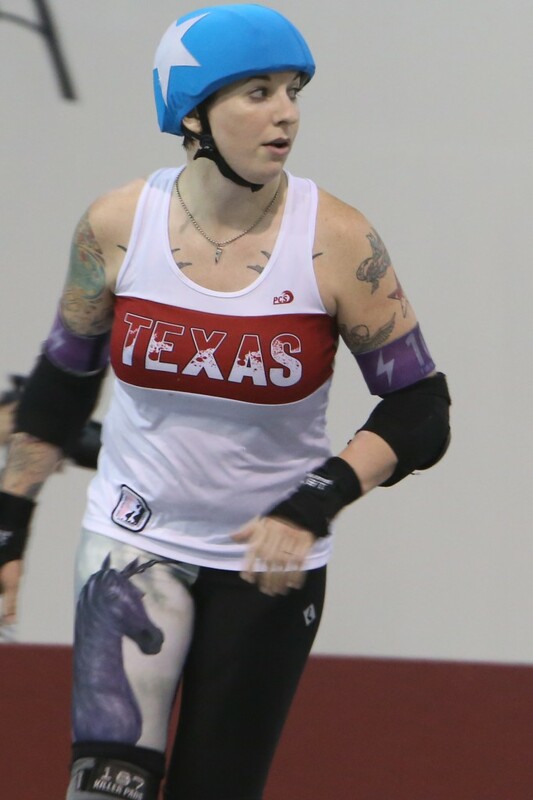 Shaun Lee, also known as Donna Pologize, has experienced a similar increase in confidence due to her own roller derby involvement. 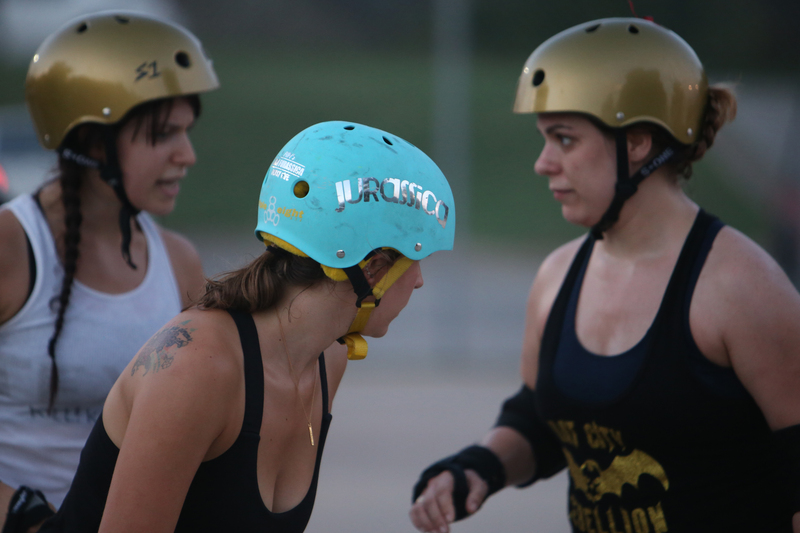 According to Donna, roller derby has provided her with some of the most beautiful friendships imaginable. 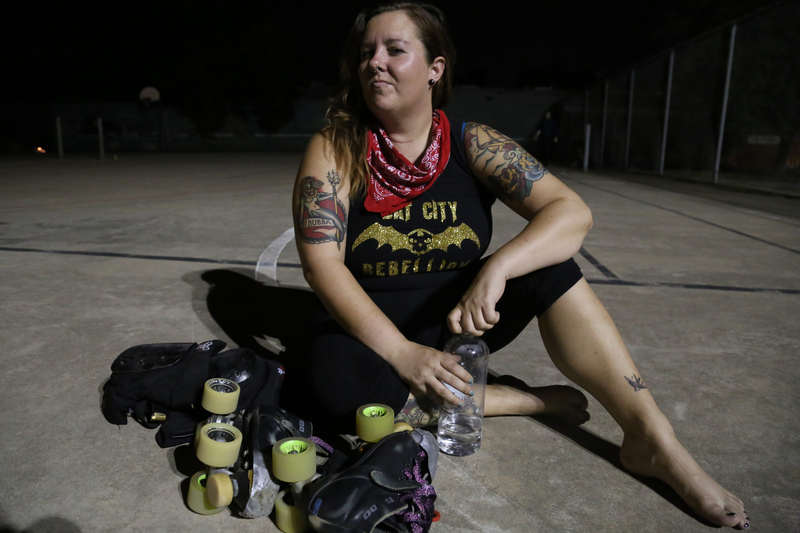 Lauren Glass, known as Pirata Roja, has likewise developed extreme friendships through her own roller derby experience. Through a difficult time with thyroid cancer, Roja experienced immense support and love from her roller derby friends. 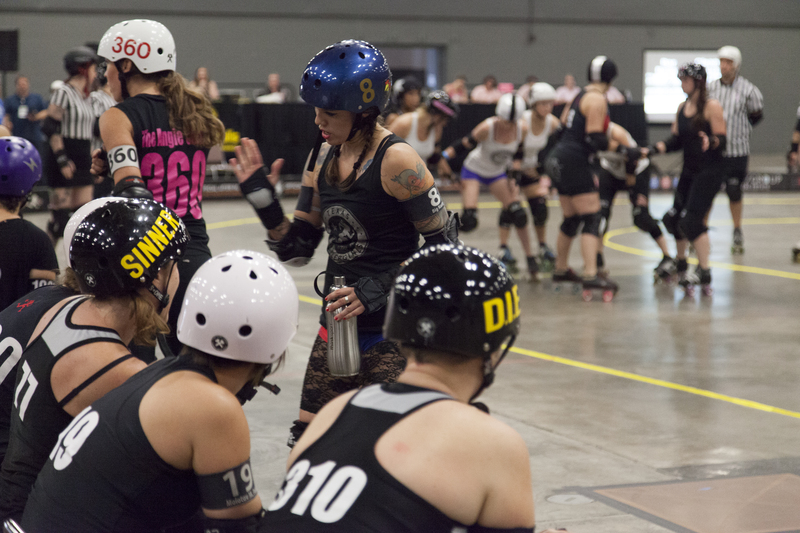 The empowerment contagion has continued to the younger generations within the junior derby league. Roja smiles as she talks about her own daughter’s experience in the blossoming from a quiet, reserved girl into a self-confident and self-secure young woman. “The moment I realized the change within her was one day after school her teacher told me what had happened that day during recess,” Roja says with a smile. Apparently that day during recess, there were two boys arguing; one was bullying the other. Roja’s daughter, Madison Glass also known as Madi Vul, would not stand for it. She stomped her way over to the two young boys and stood between them. It still makes Roja smile with pride to know that her daughter was able to find her inner confidence through roller derby. 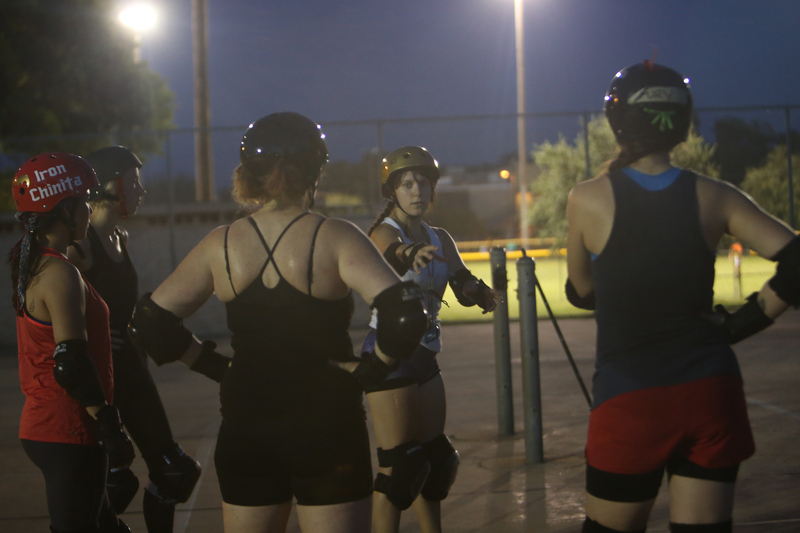 The Bat City Rebellion discuss a new strategy during practice. 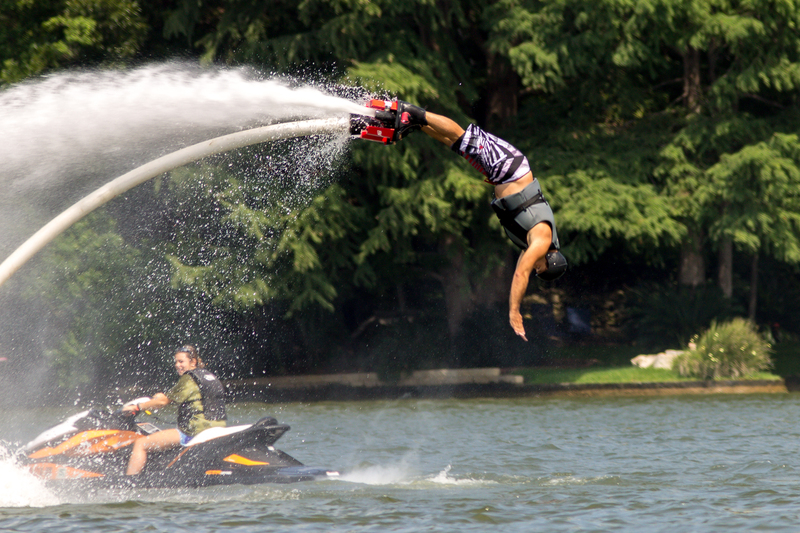 Teammates of Bat City Rebellion practice a new drill. The Bar Belles team member gets out ahead of the pack during the Naturally Fit Games. 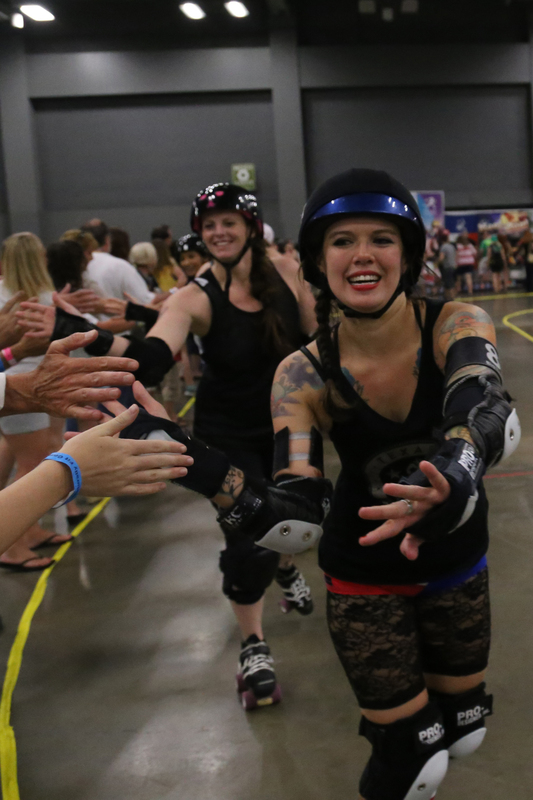 High fives are given after the Bar Belles score during the Naturally Fit Games. Referees are allowed alter ego names as well. Here "Destruction" looks onto the game. Roller skates are personalized with every skaters personalities. The jammer for Bar Belles gets out front in order to score points first against the Clean N Jerks. 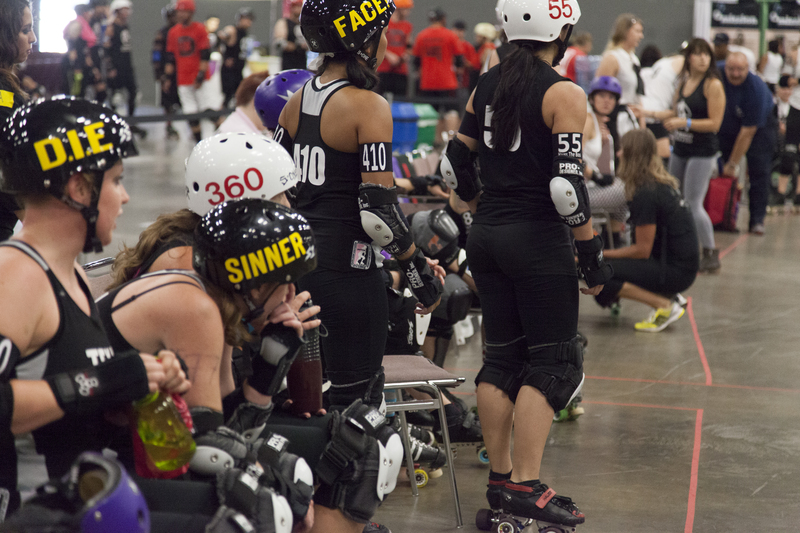 The Bar Belles watch anxiously during the bout. Various techniques are used during the bouts in order to prevent the other team from scoring. The Bar Belles and Clean N Jerks fight it out during the bout at the Naturally Fit Games. Roller derby has multiple different strategies and rules, but here is the simplified version of the game as a whole. 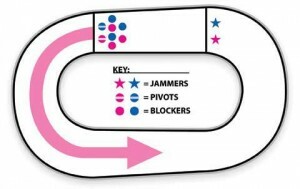 A breakdown of the roller derby track and positions of players. Photo credit from Glasgow roller girls. 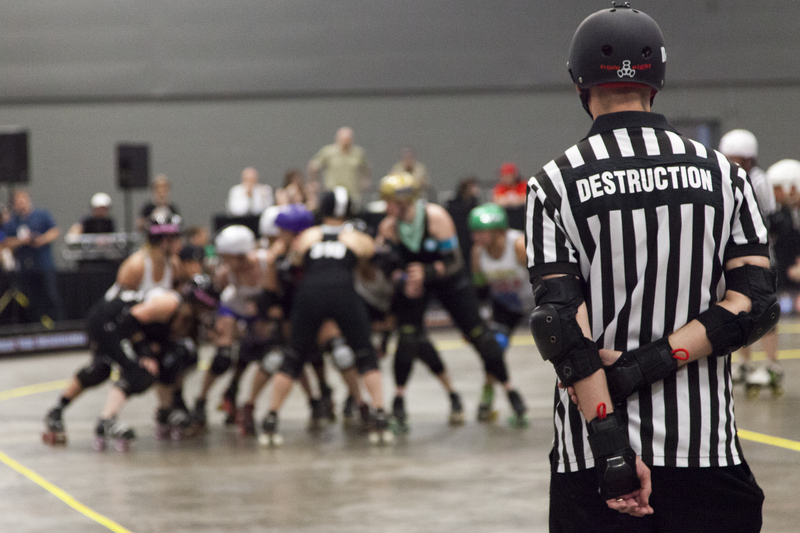 A game, known as a bout, is played with five players from each team within the derby ring. 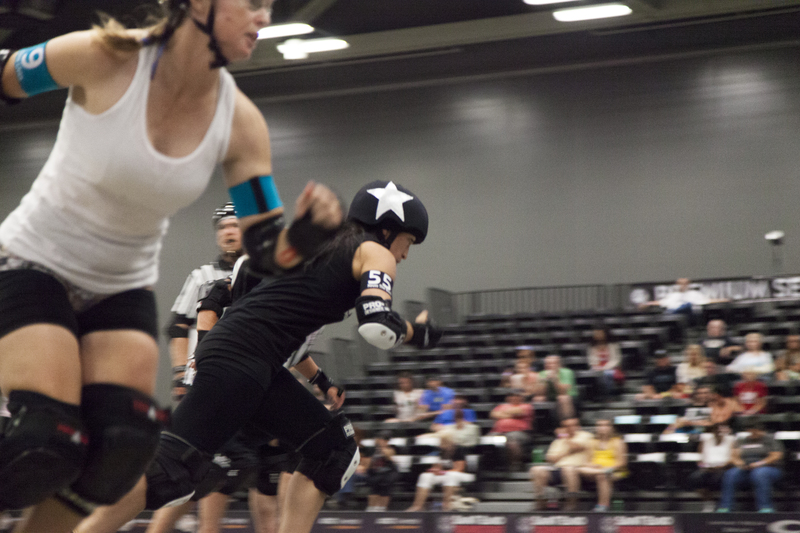 One of the five from each team is the jammer; identified by a star on their helmet. Their main goal is to pass as many opposing players as possible. Each player the jammer passes is a point for their team. Another position, identified with a stripe on the helmet, is called the pivot. The pivot keeps an eye on the pack, and is a last defense. The other players are called the blockers and their main objective is to prevent the opposing jammer from passing them. 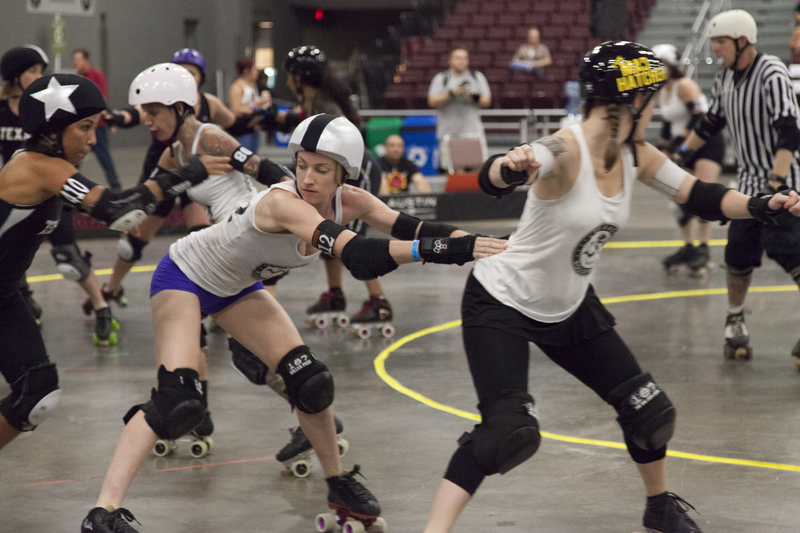 This group of eight blockers is called the pack and none of the skaters, aside from the jammer, is allowed to leave the pack passed 20 feet. All players must continue to skate around the rink and never skate the opposite direction. If a player elbows another player, skates in the opposite direction or skates further than 20 feet, they receive a penalty and must go to the penalty box for a minute. Still have questions or need more details? Visit the official rules of flat track roller derby at http://wftda.com/rules/20140301 from Women’s Flat Track Derby Association. He stood with a welcoming grin, slightly balding, and sprinkled gray hair. His face weathered and palms cracked, evidence of years spent underneath the Texas heat. With dried paint underneath his fingernails and the building’s color palette splattered over his white shirt, it was just another day for Victor. In the pursuit of a better life and security for his family, Victor migrated to Amarillo, Texas, from Juarez, Mexico twelve years ago. With a spark in his eye, he whispers to his wife and kids, “seguridad y opportunidad,” security and opportunity. To Victor, his family’s voyage to Texas mimics that of the pilgrims to Plymouth Rock. 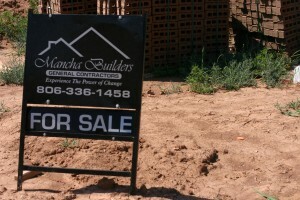 After arriving in the United States, Victor landed a position with Mancha Builders, a custom home construction company in the Texas Panhandle. He spent a few years with Mancha, establishing himself as a painter, before starting his own painting company. Victor still works closely with Mancha, contributing on various projects. 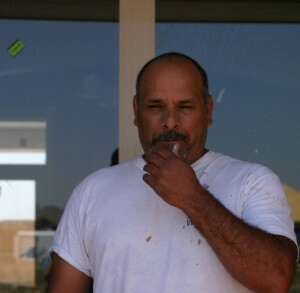 According to the founder of Mancha Builders, Perfecto Mancha, migrants like Victor are his company’s signature. Victor has a green card, and is in the process of obtaining legal citizenship. He speaks in broken English, and jokes that it is the most difficult part about his transition to the United States. 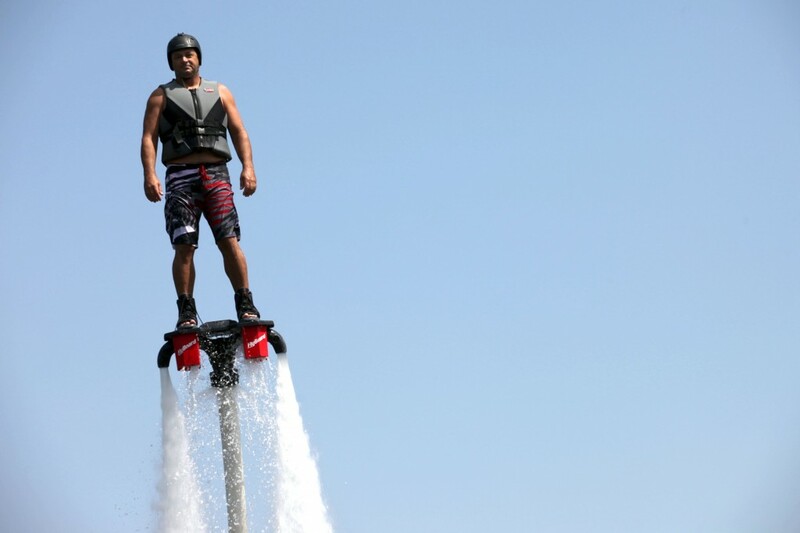 In order to become a citizen, he is required to take courses in American History and The United States Constitution, as well as learn English. Victor lives a simple life, but many undocumented workers that he knows throughout the Panhandle continue to struggle for the American Dream. 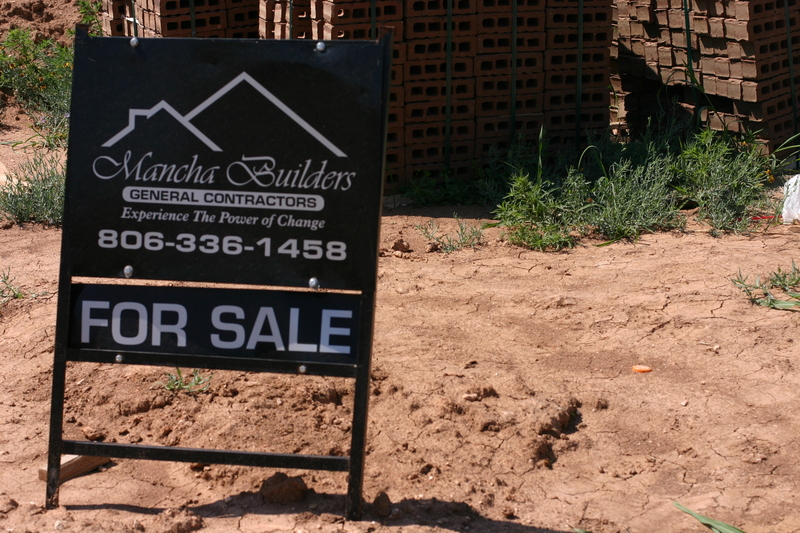 According to Mancha, there are various building companies in Amarillo that pay their workers in cash to keep them off of tax records and avoid being audited by the IRS. Immigrants often resort to buying social security numbers on the street or from family members who have already obtained them. Green cards can be granted to entrepreneurs who make an investment in a commercial business. According to Morales, this involves a minimum investment of $500,000. However, there are a number of other ways non-citizens can obtain a Green Card. For instance, a non-citizen can obtain the card by a family sponsor, meeting the requirements of “Refugee or Asylee status”, and other unique ways. Once a non-citizen has a green card and fulfills the requirements of permanent residency, they have the ability to apply for citizenship. Requirements vary based on the type of Green Card. In order to start the naturalization process, an applicant must complete the N-400 form. The form is commonly called the “Application for Naturalization.” The applicant must be 18 years of age at the time of filing and have had a green card for at least 5 years. Other requirements include: the ability to speak English, knowledge of U.S civics and government, and many more. These can be found on the U.S. and Immigration Services website. However, Morales said there are some problems with the immigration system. For example, Morales believes that the United States prefers an immigrant from England rather than El Salvador. “We (U.S.) have a preference system, where we prefer people from Europe versus other parts of the world,” Morales said. In an effort to find a solution Republican Senator John Cornyn introduced the Helping Unaccompanied Minors and Alleviating National Emergency Act or HUMANE Act on July 17, 2014. The HUMANE Act reads that it intends to alter the rules for unaccompanied alien children by amending the William Wilberforce Trafficking Victims Protection Reauthorization Act of 2008. The amendments are created to streamline the deportation process and include countries that are not contiguous to the U.S., as the new list incorporates Canada, El Salvador, Guatemala, Honduras, Mexico, and any other foreign country that the Secretary determines appropriate. Once the alien child has been placed in custody the HUMANE Act says he or she has no later than seven days to make a claim for legal stay and during that time the child may not be placed in the care of a non-governmental sponsor. After the claim has been made the presiding judge has no later than 72 hours to make a determination on whether or not the unaccompanied alien child is eligible to legally stay in the U.S.
On July 15, 2014 Cornyn and U.S. Democratic Representative Henry Cuellar made an appearance on MSNBC’s Morning Joe to discuss their reasons for wanting to speed up the deportation process. University of Texas Professor Snehal Shingavi and a friend of Jackson attend the memorial to show their support. Holding candles, flowers and signs, members of the Austin community spilled onto the bridge crossing Shoal Creek and West 34th Street on Saturday. 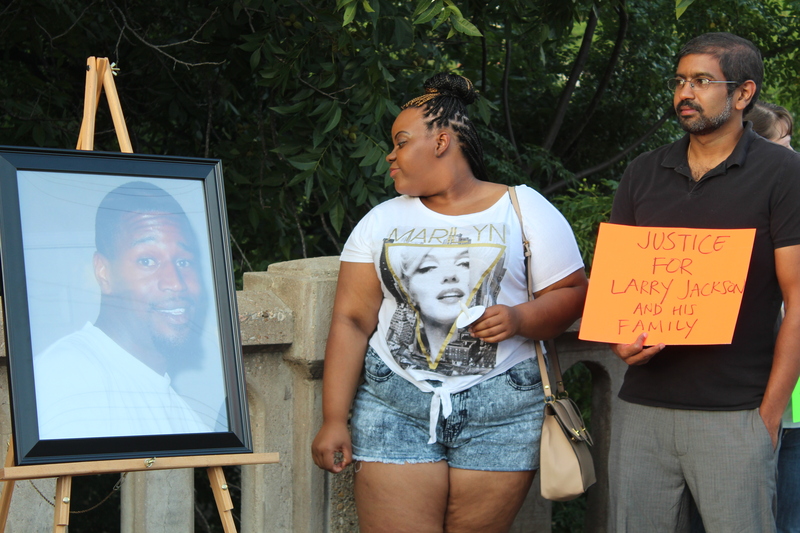 It was the one-year anniversary of the fatal shooting of Larry Jackson Jr.
Lakiza Fowler, sister of Larry Jackson Jr., organized a memorial service for her brother on the bridge overlooking the place where Jackson was killed. Long-time friends and family of Jackson attended the memorial, including his three children who traveled to Austin from their home in Mississippi. 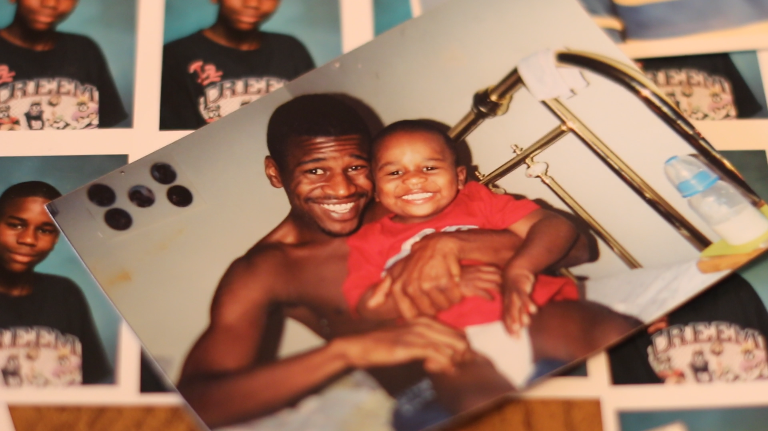 A photo of Larry Jackson Jr. holding his oldest child. Exactly one year ago, Detective Charles Kleinert chased Jackson from the scene of a bank robbery at Benchmark Bank on West 35th Street. After the robbery, Jackson approached the bank and according to Kleinert, Jackson had acted suspiciously. When the officer attempted to question Jackson, Jackson fled from the scene. Kleinert followed him, commandeering a civilian car along the way. 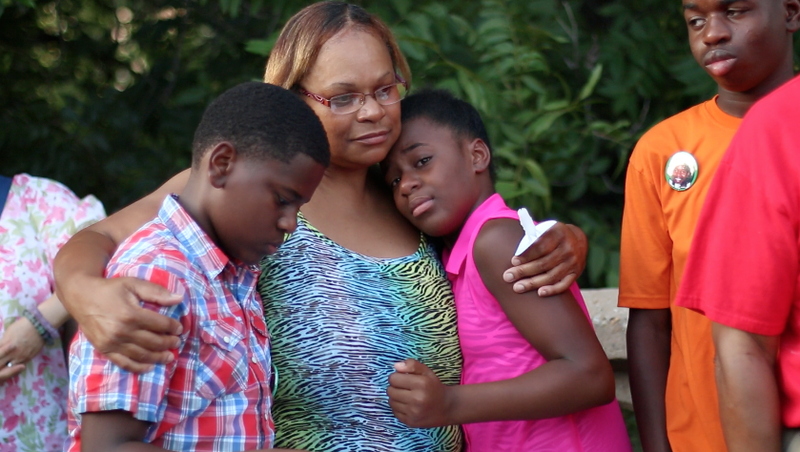 Larry Jackson Jr.’s three children attend the memorial on Saturday July 26th. The chase ended underneath the bridge on West 34th Street. Jackson lay dead in the riverbank, having been shot in the back of the neck by Kleinert. According to the officer, his weapon misfired. Austin Police Chief Art Acevedo placed Kleinert on administrative leave and started an internal police investigation of the shooting. A month later, Kleinert retired. “To say directly to [Kleinert], I hate you for what you did. I hate your actions, because your actions have caused an entire family to grieve to the point where, like I said, I don’t even know who I am anymore,” Fowler said during an interview. At a town hall meeting in response to the shooting, Fowler met Lucian Villaseñor, a local activist and member of the anti-police brutality group the People’s Task Force. The group had formed in the aftermath of a Florida case where George Zimmerman, a neighborhood watchdog, was acquitted after murdering an unarmed, black teenager, Trayvon Martin. With the support of the People’s Task Force, Fowler embarked on a campaign to initially fire Officer Kleinert from the Austin Police Department. Fowler said she knew immediately after Jackson’s death that she wanted to fight for justice. After Kleinert’s retirement, the People’s Task Force redirected their efforts toward securing a Travis County grand jury indictment of Kleinert on charges of murder. Villaseñor said Keinert’s retirement before the completion of an internal police investigation reflected a systemic issue of racism and police impunity. 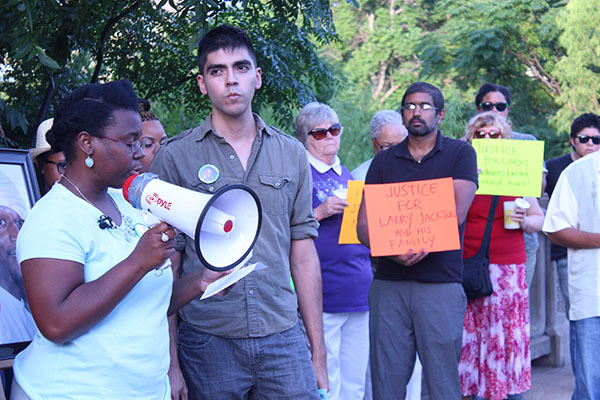 Lucian Villaseñor, member if the People’s Task Force, helps Lakiza Fowler with the memorial. “If you kill a person of color in Austin, you can retire and get your pension,” Villaseñor said. Snehal Shingavi, an assistant professor of English at the University of Texas at Austin and attendee of the memorial, said he believes the Jackson case was a result of systematic racial profiling in police departments nationwide. “When you look at who is arrested, who is put in prison and who is shot by the cops, you see a racial bias in the outcome of police actions,” Shingavi said. After months of petitioning and rallies, the grand jury indicted Kleinert on manslaughter charges on May 12. If found guilty, Kleinert could serve up to 20 years in prison and pay a fine of up to $10,000. The last indictment of a police officer for a fatal shooting was in 2003, when Officer Scott Glasgow was indicted on charges of negligent homicide for the killing of 20-year-old Jessie Lee Owens. Four months later the charge was dismissed. While the indictment was a victory for the Jacksons family’s months-long campaign, Villaseñor said they would still have to fight another uphill battle to convict Kleinert. Fowler said she would continue to fight for a conviction even if the case is thrown out. “I’m going to continue until my last breath fighting not only for Larry, but for all the other injustices that have happened,” Fowler said.